and made by me with airbrush and original paints! 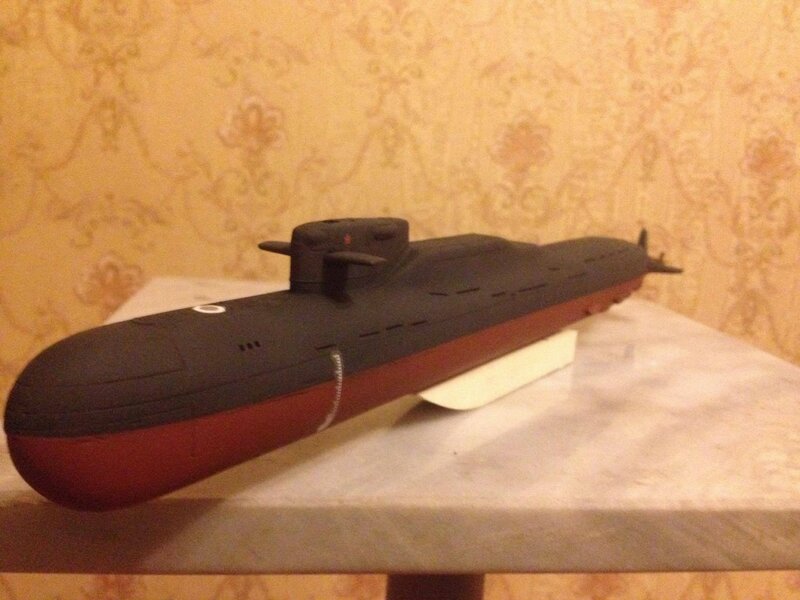 1:350 The Yankee-class was a class of Soviet nuclear ballistic missile submarines that was constructed from 1967 onward. 34 units were produced under Project 667ANavaga (after the fish) and Project 667AU Nalim ("burbot"). 24 were built at Severodvinsk for the Northern Fleet while the remaining 10 built in Komsomolsk-na-Amurye for the Pacific Fleet. Two Northern Fleet units were transferred to the Pacific. The lead unit K-137 Leninets, receiving its honorific name 11 April 1970, two and one half years after being commissioned.